Set of 2Pcs. 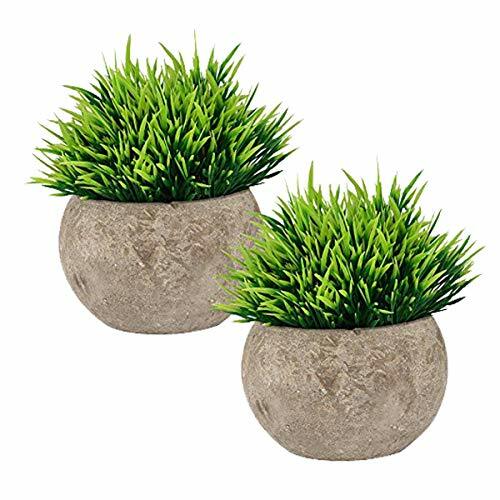 Diameter of product: 4.3" X 4.0"
Home and Office Decor: Perfect to display on your bookshelf, living room mantle, coffee table, dining room table, cabinet,, desk, kitchen,window ledge,foyer and any other place to bring more lifelike colors and organic style. Lifelike Plant with Pot: It looks real enough and adds a touch of nature to your space. Good Quality:The base is made of paper pulp, please don¡¯t put it in the water, but the material also make it a study and outstanding base. Long life span:No need to maintain or care for them, neither will die nor fades,match everywhere of your home. If you have any questions about this product by The Bloom Times, contact us by completing and submitting the form below. If you are looking for a specif part number, please include it with your message.